LindaShell.com is pleased to present and provide a strong team of industry and subject matter experts to assist with your educational services, leadership development and business resource needs. 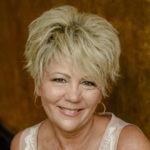 Dr. Linda Shell MA, RN, principal and partner of LindaShell.Com, has over 25 years of experience in acute, post-acute, and long term care, serving in the roles of staff nurse, educator, director of nursing, quality manager, consultant, and organizational development. She received her Bachelors and Masters in Nursing from Bethel University, St. Paul, Minnesota, and her Doctorate in Nursing Practice from the University of Minnesota. She has authored numerous articles on clinical practice, workforce, generational differences, fall prevention, and publishes a weekly blog on issues of leadership. As an advanced practice nurse, consultant and educator, Dr. Shell collaborates with organizations on leadership, falls, dementia, workforce issues, and sleep improvement. LindaShell.com offers a proprietary SurThrivel leadership platform based on her doctoral work on resilience. She is past board member of Leading Age Minnesota and member of AANAC Executive Advisory Panel. 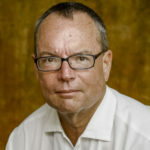 Bill Shell,CPC, CEO and partner of LIndaShell.com, brings 30+ years of leadership experience in starting, growing and managing private, public and non-profit businesses. He attended Southwestern College in Oklahoma City, Oklahoma where he majored in business. He is a Certified Professional Coach. Bill has coached and consulted with hundreds of business owners and executives. He has co-authored two books on the topic of business coaching and consulting. His experience includes strategic planning and implementation, new business start-up and development, marketing, sales, franchising, distribution, operations, project management, budgeting and P&L, organizational development and all facets of tactical business execution. Bill has been honored to serve in an advisory role to small business and corporate boards.